Several years ago, guitarist Nicholas Lisher bought a second hand Roland Juno 6 Synthesizer for £50. The plan was to add texture to his simple home recorded guitar-based ambient music, but after countless late nights adjusting each slider he found he could not only emulate countless techno records, but also create a dynamic, enveloping sound that was the missing piece to the shoegaze/indie rock band that was playing in his head. He tried and failed a few times to play this sound in other bands, before deciding that Ecce had to break out of his cranium. Pinching Canadian multi-instrumentalist Tim Adams completed the Ecce recording puzzle. Last year, An EP on Tirk sister label August Day gave a taster of what was to come, before Nicholas hid away in 2009 to write Ecce's debut album, 'December Somewhere'. Album opener 'Epic Feature' sets the tone: Lively synth and drum patterns ricochet against each other, whilst heavy drones and distorted guitars crackle and flicker. Nicholas sings a paean to his home city with an urgency only outdone by the song's charged instrumental resolve. Lyrical and sonic catharsis follow with 'Heat' and EP highlight 'Control', the album's most immediate, ear-catching songs. Each one melds melody with exhilaration in their own way; 'Heat's post-punk guitars, handclaps and detuned synths giving way to 'Control's energetic bass synths and breakneck rhythms. The dust settles on veiled love song 'The List', the initial simplicity of which is slowly dismantled by Ecce's trademark unearthly guitar and synth textures. 'Nightmares In Colour' and 'Reanimate' restore the pace, the former's diversion into contemporary, pulsing synth and drum movements anchored by the customary silvery chorus. 'Reanimate's brisk intro draws heavily from Krautrock stalwarts Neu, before a jarring art-rock guitar and bass riff serve to unsettle, just as you were getting comfortable. The tension and rigour of Nicholas' vocals culminate in a refrain that detonates the harmony back to the fore. Ecce's roots in IDM and lap-pop are belied in 'Alison', while the other end of the Ecce spectrum is represented in frenetic but melodic indie rocker 'Brace Yourself'. The calm ballad to misjudgement 'Arrows' then precedes 'December Somewhere's highlight, and the quintessential Ecce track 'Sorry And Goodbye'. Intense shoegaze guitars brandishing seductive chord hooks soundtrack the lyrical disquiet, before the song transforms entirely and rebuilds itself instrument by instrument to its penitent farewell. 'December Somewhere's closing track Firewood then begins with a stillness that gradually morphs into a singular dominant wall of noise. It's either one hell of a hangover or the cleansing signifer of a new dawn, either way it's a fitting end to Ecce's debut album. 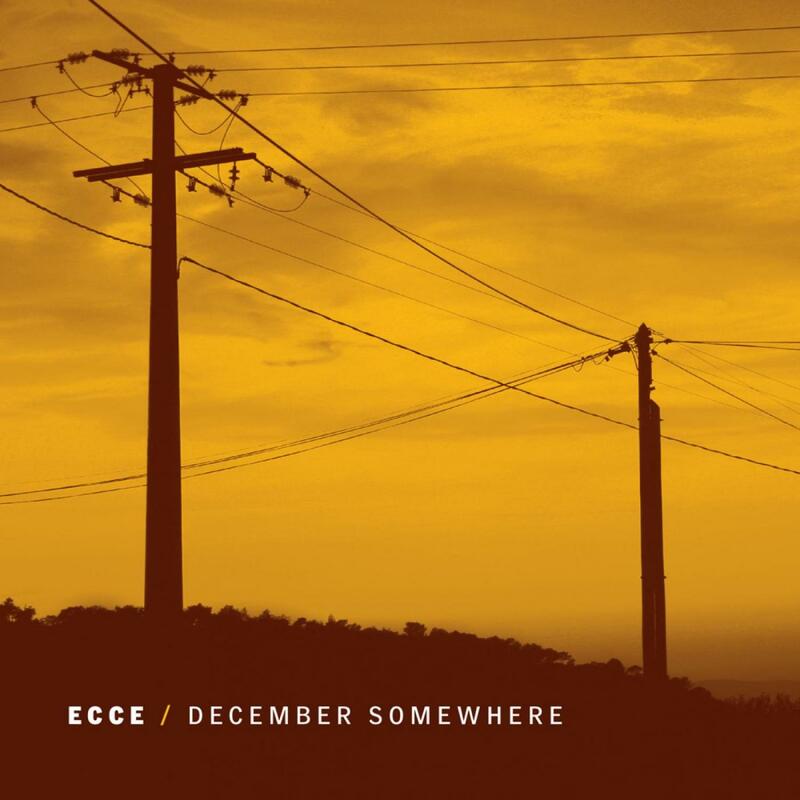 Whilst 'December Somewhere' is a record that is firmly rooted in indie rock, it is also awash with the sonic range of experimental labels and the modern rhythmic sensibilities of electronic pop music.